Best Electric Guitar Strings | Gear Acquisition Syndrome!! 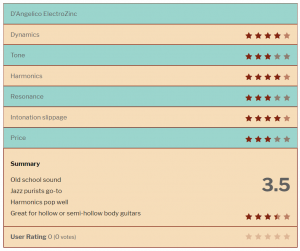 So, WHAT ARE THE BEST ELECTRIC GUITAR STRINGS??!! Well, they’re the ones that make YOU sound best in YOUR music, of course! But there is something to be said for putting strings through rigorous testing to see what they can deliver. So, here’s the deal with these strings: they’re the newest on the scene (just released last year), they’re the 2nd most expensive of the lot (at $12.99), they use a different metal alloy from anyone else on the market, and they have a pretty interesting story. 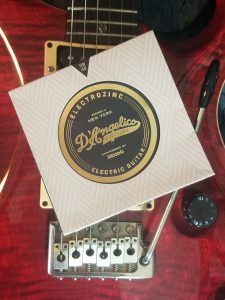 In 1938, John D’Angelico, a guitar maker, and John D’Addario, a guitar strings maker, got together and invented a round wound electric string for the first time, using zinc-coated steel that was “Bethanized”, which they had trademarked. “ElectroZinc” strings with Teaj’s Paul Reed Smith guitar. By all accounts it was a great string set, and was used by many for decades. Renowned for fullness, balanced brightness and volume. … it disappeared in the 60s. Why? Of all things, because the Bethlehem Steel Plant, which was the only source for this “Bethanized steel” string, closed down, never to re-open. So for half a century its tonal secrets lay unheard. Cut to today. Not only is the story a great marketing touch, but since no one else has the rights to this particular alloy, a combination of steel and Zinc, they have a tonal corner on the market. How much did they drop in tuning, one half hour after I initially tuned them? In Hz, from low E to high E: 1, 1, 1, 2, 2, 2. If I were a jazz player, and my main axe were a hollow-body or semi-hollow body, I’d turn to these in a heartbeat. But try ’em for other more modern electrics too. Their warmth and dynamic expression might just hook you. For the distinct, burnished tone of the D’ANGELICO ELECTROZINCS! These are the favorite of G.C. Accessories Department rep Peter at the Southfield, Michigan store. I had never seen or heard of anyone playing these before, but after a long discussion with Peter, I asked him what his typical choice was, and he immediately reached for these strings. He said he loves them for the Blues playing that is his favorite genre. 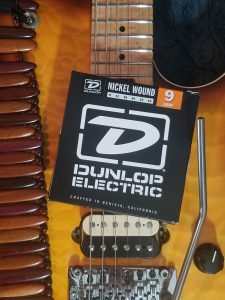 Dunlop is a common name in the guitar world, but that’s mostly because they make a ton of accessories that most of us have used at sometime or another. They opened in 1965, so they’ve been pleasing spotlight shredders for a while now. They’ve operated out of there Benicia, CA factory to this day. Dunlop strings with Teaj’s EVH “Wolfgang Special” guitar. In 2005 they finally decided to also enter the strings business and… boy, did they do it with a bang. I was incredulous when, on their website, I counted THIRTY-FIVE different electric guitar string sets! And that didn’t include strings for other types of instruments. They’ve obviously done their homework, and made sure that, no matter what your tonal taste, there is a string set with your name on it. The way Dunlop describes these strings is a low end that is “focused’, mids that are “aggressive”, and highs “crisp”. Naturally, these adjectives have been used countless times before for strings of all caliber, so… how did they actually fare? I found them to have a good balance string-to-string, and generally pretty darn responsive. I found that these strings sounded best with a clean tone or subtle crunch applied. When playing through “Something” by the Beatles this set actually was my top pick, for example. Applying distortion changed their tone too much for me though, and other sets usurped their first place. These strings land in the midrange price point, selling for around ten bucks. Steve Lukather, madman monster player from the stellar band Toto, has been an Ernie Ball user since he began playing in the 60’s, and now endorses these Cobalt strings in THIS VIDEO. As I researched for this article, Steve’s endorsement really peaked my interest in this string, as his playing prowess is second to none and any recommendation from him I take very seriously. “Slinky Cobalt” strings with Teaj’s Jay Turser Serpent guitar. So, what’s with the cobalt? Well, the strings are steel in their core, with a steel/cobalt alloy wrapped around the outside. According to E.B., this produces a stronger magnetic pull between the pickups and the strings. Currently, E.B. holds the patent on this alloy for strings, so they’re alone in this power paddock. You can see they’re different too, as soon as you take ’em out of the pack – they have a matte-grey, almost blue hue to them that looks different than any other string I’ve played. What does that do? It translates into a clearer tonal signal, a higher dB output level per string, which in turn allows for a extended dynamic range, and increased frequency response, according to E.B. reps. Because of this, I was really looking forward to seeing if harmonics jumped off the neck better with this set. Some have said they feel different also, feeling somewhat softer than usual. This is probably because E.B. has confirmed that you’ll have a slightly lower tension with these strings than what you’re used to if you’ve played normal steel strings in the past. In recording these strings while playing through a bunch of songs, I found them to be very different in tone than all the rest. They have a really good sustain (an open chord rang for 22.24 seconds) and higher presence above 5k than all the other sets except the Dunlops. For me personally, I didn’t find that they made my Paul Reed Smith sound as good as some other sets did. As you might suspect, it’s very dependent on the guitar and the pickups whether or not strings will complement your sound. But with nothing but respect for “Luke” of Toto, these are definitely a good choice to try, especially if you want your sound to stand out from the ‘standard sound’. Care to join Mr. Lukather on the cobalt train to glory?? 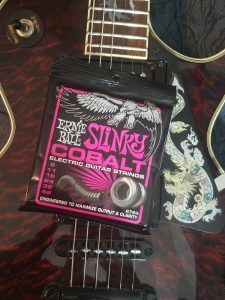 The ERNIE BALL SLINKY COBALTS!! These strings are the favorite of good friend and fellow axe-slinger John Fiaschetti, whose Line 6 Helix processor we discussed in THIS VIDEO. John says he A/B’d them against Paradigm strings and the EB Cobalts a couple years back and the NYXLs won the fight. 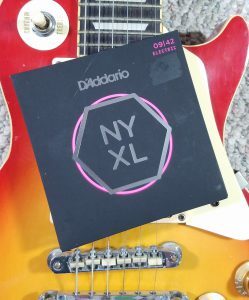 D’Addario says that these strings, manufactured in New York, are newly engineered to be break-resistant and give us up to 131% greater tuning stability. Sounds good, right? 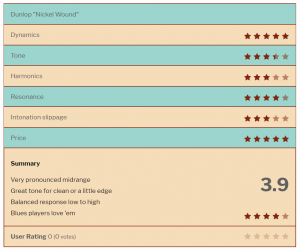 They utilize high-carbon steel cores and plain steel alloys to achieve these goals, and the end result supposedly will cause the high-midrange to be more pronounced on most guitars, in the 1 kHz to 3.5 kHz range. The result is enhanced crunch and more presence. 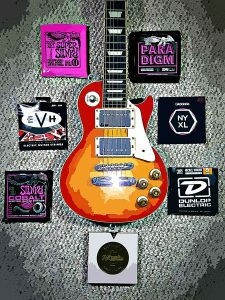 D’Addario NYXL strings with Teaj’s “Les Paul Mini”. Their marketing really makes it sound like their after the Paradigm market, in wanting to be the strongest and longest-lived choice we can make. “… bend farther, ring louder, stay in tune better, and take harder strumming than any string you’ve played before.” Bold statement. How do they do it? 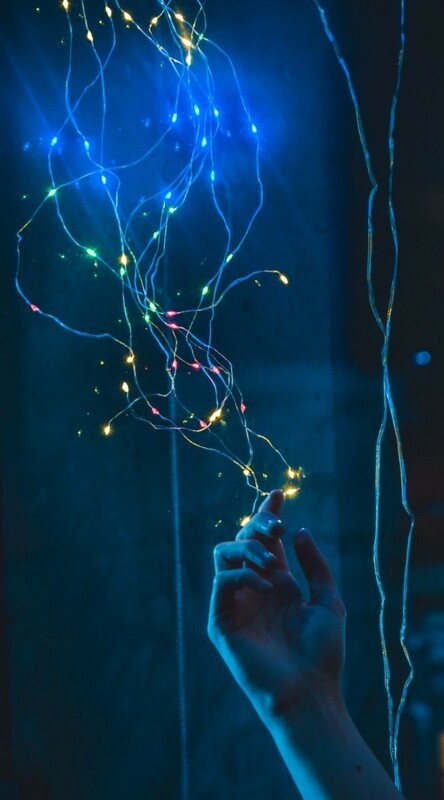 They say they completely reinvented the process of “wire drawing”, and combined that with a “fusion twist” that they claim is revolutionary for plain steel string manufacturing. In my studio this week they lived up to their hype: these strings always sounded at least good on all ten of the songs I played through with them. I can’t say that about some of the others, so that’s significant! These strings did exceptionally well whenever I played rhythm chording, pinch harmonics and soloing. I can totally see why these are John’s favorites. They are so well-rounded, in both Clean and Crunch amp modes, and can handle about anything you throw at them. If the N.Y. state of mind sounds like just your kind o’ approach, “take the ‘A’ train” make ’em sing! These nickel strings have been my go-to sets for a few years now. What can I say? Guitar hero worship never fades! 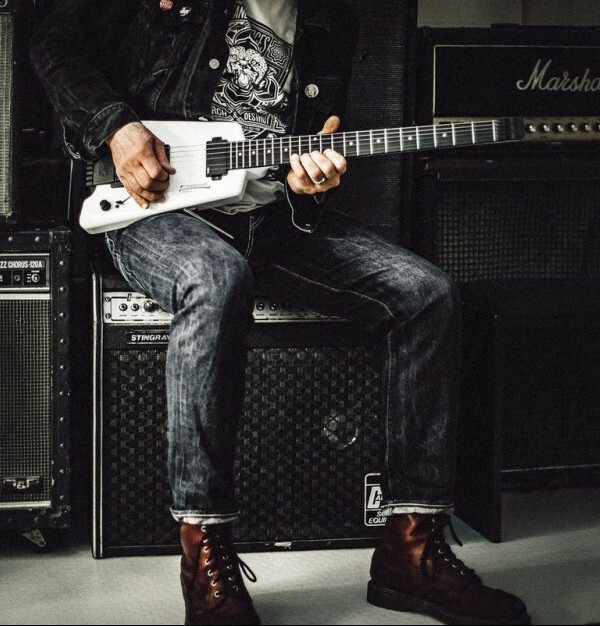 Eddie Van Halen has unknowingly taught me much and influenced my playing considerably since he shot off the solo heard ’round the world (you DO know what that one is, right??). Since I own a few of his guitars, I went with his strings too. 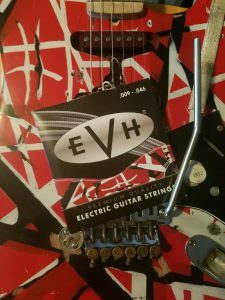 EVH strings on Teaj’s “Frankenstrat” clone! These babies are nickel-plated, hex steel-core strings, and they’re exactly the ones Eddie uses to put on all his guitars. This is also the ONLY string set that is not 009 – 042. One of the reasons I like the EVH line is that they offer what Eddie likes to use, which is a set with a wider spread. That’s the set that I use, and that’s what we’re testing here today: the 009 – 046 gauge! The wider gauge allows me (you, Eddie…) to have a lot more beef in the lower strings, since they’re thicker, for crunch chords and the like, while keeping the higher strings the same for soloing, tapping, hammer-ons, etc. Love that! Ernie Ball, GHS and D’Addario later introduced the same wide gauge after Eddie launched his into the industry. That’s telling, isn’t it? So how did my current faves fare in our little musical OK Corral? Was I woo-ed away from Eddie’s brand?? No. And yes! I’m always open to improvement and progress in my art; I’m willing to change if it promotes positive development. But in some cases, I will still be using this brand for my playing. If I need long sustain, EVH is it, baby! These strings had the longest sustained chord out of all the packs I tested – just under 26 seconds. That beat all the other strings hands down! They also hold their tuning great. A half an hour after the initial tuning they had only dropped by these Hertz: 0, 0, 1, 2, 1, 2. Among the best in the test. I also found that if I needed a nice, bright tone while in Clean mode on my amp, these strings won every time. Their high end will always help you cut through a mix, whether live or in the studio, like L.A. sunshine through the Valley smog! If you itchin’ to take this “Spanish Fly” for tone, go ahead and JUMP!! The short, simple tag line for these strings is: “Stronger, for longer”. Their packaging say “Break Resistent” & “Ultra durable”. E.B. “Paradigm” strings on Teaj’s “Tiger Stripe WildKat”. Ernie Ball has been around making guitar strings since 1962, so this isn’t their first musical rodeo. They’re a Southern California company, so they’ve got a whammy bar up on their competition in the land of fruits and nuts. The Ernie Ball list of endorsing artists on their website is impressively looooong, so I was anticipating the Paradigms to be a formidable opponent in this contest. The site’s accompanying videos show and tell why the artists use the E.B. products, and are really quite convincing. If you wanna hear why Kirk Hammet, Steve Stevens, Don Felder, John Petrucci, Andy McKee, Steve Vai, Slash and host of others give E.B. the thumbs up, CLICK HERE. The intonation adherence of this string set was nothing short of AMAZING! One half hour after I tuned it the first time, the drop in string tuning was almost non-existent: 0, 0, 0, 0, 0, 1 !!! That puts it easily in first place for staying in tune. This string set excels at almost everything, and the biggest reason is the width of tone and simple “beef” it has compared to all the others. No other set sounded as thick, yet defined, as this screeching bird of prey! Because of that, there is actually one scenario in which I would probably not use them: if I were recording in the studio and needed to lay down rhythm parts. Come mix time, it’s all-too-common to EQ out the bottom end of electric guitar rhythm parts so that they sit better in the mix and don’t interfere with other lower-frequency instruments. These strings dish out quite a bit of low end, so… rather than promote that sacrilege I would just use… my number one string pick. Otherwise, I was so taken by the depth of tone these strings produce… far beyond any others. They really are in a class by themselves. I can totally see why there’s a long list of “guitar gods” who endorse this product. This will now be my preferred string for live playing… especially if there’s any soloing in the mix. The strength and gravitas it adds to the guitar’s tone is unquestionable – the same result appeared in every song I recorded. The finesse and rich tonal flavor of these strings were one of my personal faves for sure! 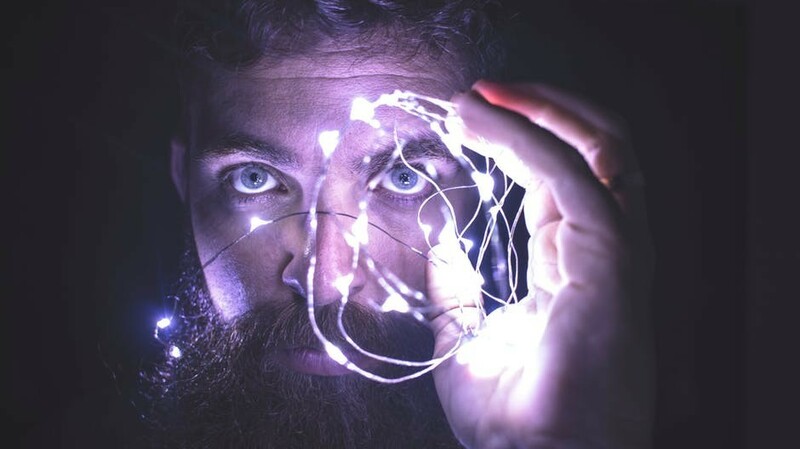 If you want a real Paradigm change, to a string that will forever banish all “where’s the beef”-bashers, dig down deep on this gold mine of tone! E.B. “Super Slinky” strings on Teaj’s “EVH Original Strat” clone. I have to admit here… I did NOT in a million years expect this string set would be the winner. Why? Two things: the packaging… and the price! The packaging looks, very similar to other very cheap string sets that aren’t nearly as good. And the cost?? These puppies come in at the cheapest price point of all the string sets. Unbelievable! So, lemme tell ya… do NOT judge a book by its cover or price in this music store. Prepare to be blown away! First off, let me say that these strings did not have a tone that was MONSTER and just took your face off. Rather, in most of the recordings I made with this set, they just sounded… right. Like it was the perfect sound for the song. For someone whose focus is recording, like me, that kind of instant fit is literally music to the ears!! 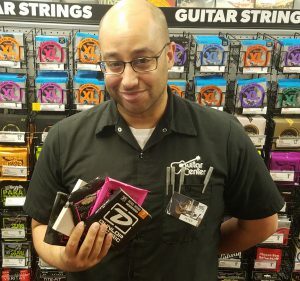 I guess I’m not the only one to hear this exceptional “fit” either; Peter at Guitar Center told me that these are the most popular string set sold in his shop, except for the 10 GAUGE of same brand, which sells slightly more. For palm muting on the clear channel, this string won. For double stop melodies, this string won. For rhythm chording, this string won. For pulling harmonics, this string won. No other string impressed me so many times, in so many diverse ways. Wow. Just wow. It came in 4th place in the sustain test, lasting a good long time at 22.35 seconds. No slouch there either. 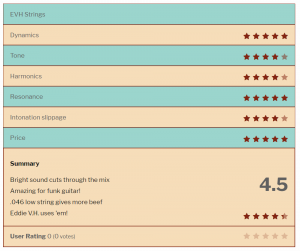 So, it’s obvious why these strings are my top recommendation. I can’t believe they’re not more expensive. They beat out sets that charge us a lot more for a lot less! 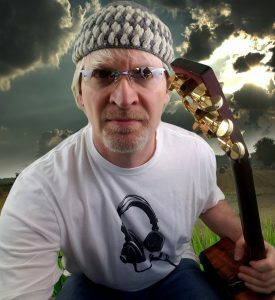 If you want to see what I mean, and test out for yourself the “one string to rule them all, and in the hot licks bind them”, join me & have a Ball!! 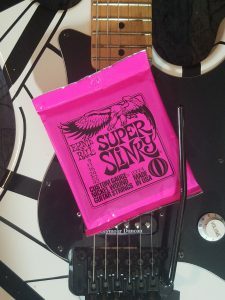 The ERNIE BALL SUPER SLINKYS!!! So, there ya go! Any of the above string choices should up your game (if you’re not using them already!) and make your sound an even more desirable, and identifiable, commodity on the gigging circuit. Our own gravity of choices, based on what we’ve used in the past, can often lock us down into options that are not actually our tonal best. Open up your receptiveness to change and blast off into whole other galaxies of sound. You just might find your new sound is your all-time favorite. How I Reached the Top! 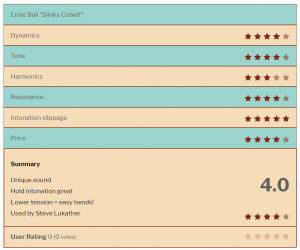 If you’re the kind of player who wants to know exactly HOW I conducted this sound experiment, and what the specific parameters were, how I set them, and why I chose the top winners… read on!! Once I compiled the answers to those questions, I quickly saw some consistent winners. I then cut out any duplicates and whittled the list down, based on those professional recommendations, to the finalists that are listed above. There were lots of one-offs, but the final winners were consistently acknowledged as at least a GOOD choice, if not the best, for all axe-slingers who want to shred on a great wave of impactful tone. We all have preferences and things we ‘gravitate towards’ in a string. Because of that, I wanted to apply at least a modicum of scientific method by experimenting with specific goals in mind. First off, I surveyed the same STRING GAUGE for each set. I used “Light” gauge strings, since that is what I typically use on my guitars and my guitar necks are set up for that amount of tension. They start at the top with a .009 size for the high ‘E‘ (You can tell my hero was E.V.H. and not S.R.V.!). The Neck/Mid pickups (detente 2) which is great for funk or R&B, and harmonics. The Bridge/Mid pickups (detente 5) which is perfect for open chords & palm muting. From there, my signal went into my EVH 5150 50 watt amp, totally bypassing my effects loop so you heard nothing but amp. For clean, the Volume was set at noon. For crunch, the Volume notched down to ten o’clock. The gain remained constant at a noon setting. I recorded into Pro Tools 12, using no compression, no effect… nada. I wanted us all to hear exactly how the strings interact with the guitar with no help whatsoever. It’s in the Way That You Use It! To isolate the differences between the string sets clearly, I recorded the same ten song snippets for each string set. Each of the songs uses contrasting playing techniques, so we can see how the strings respond to the many ways we play. For DYNAMICS, I’ll be comparing the strings to see if the dB levels fluctuate up or down at all brand to brand. In other words, are any of the sets louder, or softer, by nature? The difference in TONE between the five sets is obviously a big concern. Some guitarists choose this factor above all others when deciding their string of choice. Because we are comparing these sets by using exactly the same gauge and outboard gear, we should get a fantastic glimpse into how each string counters the energy we put into it and the general EQ of that response. 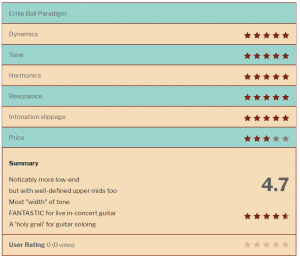 The responsiveness of HARMONICS obviously has a lot to do with the status of a guitar’s set-up, and whether its intonation is spot on or not. But since we are testing the exact same guitar with all the same gear, it’s more the comparison between our results that matters. That being said, a cursory measuring of my PRS showed that it’s current state is well-balanced and well-intoned for this test. With regards to RESONANCE, I’m going to be testing specifically how much sustain each set has per string. I really wonder if I’ll find them all in the same ballpark, or if one of more will hit it right OUTTA the park! Regardless, I’ll produce specific, targeted oscillations, record the tone, and measure the duration of each string’s tone. Just for fun, I also notated the INTONATION SLIPPAGE, from the initial tuning to half an hour later, leaving the guitar sit upright in a guitar stand. The initial correct tuning in Hertz, from which the strings will drop, was: 82, 110, 147, 196, 247, 330. To make this easy for you, I’ve broken my recordings down into their constituent parts. That way, if you’re only interested in certain techniques, based on your own playing styles, you can skip the others. Enjoy these direct comparisons. They really opened up my eyes to the truth of tone! Wow! What an experiment! It took a long time to slog through the string loosening, tightening, tuning, REPEAT… but it was totally worth it. The results speak for themselves. In a nutshell… NOW WE KNOW! I have to say too that this test, tho’ it took a loooooong time to complete, was really a lot of fun. But then, we’re players… it’s always fun to play through your favorite songs, right?! How about you? What do you think? Were you surprised? Will you be making a change in your “go-to” string set?? Let us know in the comments, and share the stringy love. I’d especially like to know what your experience was with specific guitars and pickups. Oh, and one last thing: if you are totally mind-blown that your favorite string set didn’t make the list, and you’ve actually compared them before to other strings, tell me in the comments and I will buy a set and test them against these upper seven, in exactly the same way, with all the same gear. For now tho’, I’m gonna take a break, wipe my brow and give my fingers a rest. I was ‘ouch’-ily surprised at the end of the testing to see the side of my thumb was almost to the point of blistering from performing that ZZ Top number so many times and pulling out so many pinch harmonics! What a MARATHON!! Until next time, go… make… stringy… sounds!! The vast amount of work that I put into these shows our commitment to give you MORE than the other audio websites out there, and, as well, be fun and humorous as we do so. You are right, Olonisakin! Each instrument can be brought to life by just choosing the right strings that accentuate the resonant frequencies that are built into it. The Ernie Ball strings just really had the best overall tonal response to all the techniques, chords & tones that I threw at ’em. I did not expect them to win at all, but they definitely delivered the goods! 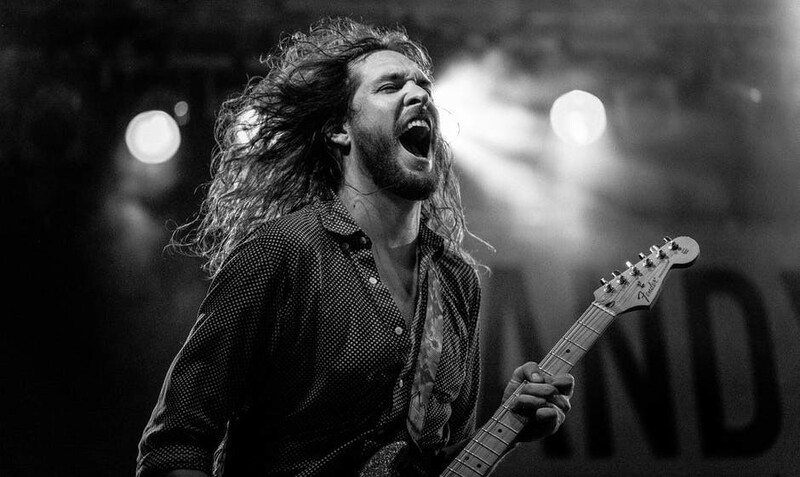 Wow, andrejs, your timing is great… I’m finishing up an article on the best ACOUSTIC guitar strings right now! I’m doing the same thing as this article: testing them all with specific music performances and recording each to determine which have the best sound. Throw me your email and when I finish (probably in a couple days), I’ll letcha know immediately. As is the case most times, Chris… it depends! If you want a rich, “classic” jazz vibe, which that guitar would be good at, I’d pick the “Electro-Zinc” strings. If you plan on soloing a lot with it in a more “modern sound”, the Paradigms have the most soloing BEEF of the bunch. I totally believe that to get the best sound out of a guitar you should try a selection of strings on it and see which bring that particular instrument to life the best. I do not use the same strings on each guitar I own. If you like lead guitar (and, oh man, so DO I!! ), check out my favorite electric guitar which I play lead on all the time by reading THIS POST. It’s the closest thing I’ve found to becoming ‘one with the instrument’! Wow, Teaj! I am so impressed with how thoroughly you have compared these strings! I especially LOVE the direct comparisons in “Let the Snippets sing!” Very telling! The work you did to put this together is a great testament of your passion and enthusiasm. I am not a guitar player myself but I shall definitely show your article to my husband who is. 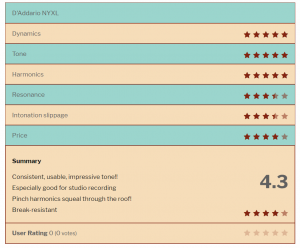 Nice review on the strings. I love string instruments especially the guitar 🎸. I think your review has provided an indept analysis of the 2018…… 7 best as you mentioned. Choosing from these list will dependamn in individual taste and preferences but I’d love the Ernie Ball Super Slinky Strings and sure it will definitely up the string game big time. I see the strings as a big part of music irrespective of the music type. Great review and a lot of info. I used to play guitar years ago, and I hope that I could play a little now, too. My oldest son playing the guitar and how far I know he about a year ago purchased Fender Dreadnought acoustic guitar. Or strings as Christmas gift would be good? Which one is the best choice? It’s mad to think that Ernie Ball strings are still going strong – they used to be the ‘in thing’ when I was a teenage guitarist…but I sorta grew out of the mad pink design on their packaging! I’m in the process of setting up an Epiphone sort of ‘Gretch copy’ – it’s a strange old guitar and the varnish is starting to crack on it, but it has a lovely sound when plugged in due to the F Hole in it’s body. Anyway, it’s just about ready to go now and I’m wondering what strings you’d recommend for this ‘deep’ sounding electric? Hello Teaj. I hope you are having a good time with your guitar. I am a fan of guitar. After the drums, the guitar (especially lead guitar) is my first love. 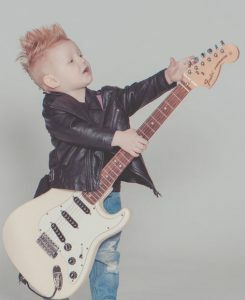 Thank you for sharing these awesome electric guitar strings of 2018. The Audios at the bottom of this page are amazing. Your website looks fantastic… Kudos. I suggest you watch THIS VIDEO from Scott at “Stringjoy” for a good overview of string gauges. Then, pop over to THIS LINK & watch Liam explain specific strategies for metal drop tunings. Finally, since you liked this “7 best” format, take a look at the shootout I did for guitar tuners by CLICKING HERE. I have a question for you: as a lot of people I’ve been using the super slinky for a decade now, probably because I make a lot of recordings too and those strings go well pretty everytime. But, I tend to play with a half step down tuning for my composition, and I was wondering if going with thicker strings (just one notch) would help my sound being a bit more clear? With this tuning, the tension in the strings are a bit low for the way I play, but I wouldn’t like to have more low frequencies, just a bit more tension, what do you think? Thanks for the bookmark, Norm!! I’m always stoked to find another Internet bud who loves this stuff as much as I do. Just can’t get enough of this gear thang. Do me a favor, will ya? If there’s ever anything you want me to write about, or share from my decades of music experience, let me know by emailing me. Hearing from those who visit SeriousG.A.S. often helps me choose strategically what posts to write. 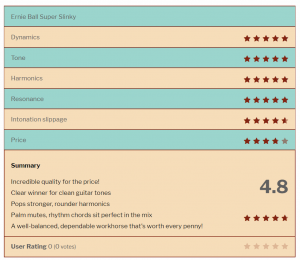 Oh, and if you like this article, also check out THIS POST, a similar one I did on tuners. Since you play live you might also get a lot out of my guitar tuners post. Lots of research for it too. Check it out HERE. Great to have you visit, Levon. Come by anytime!! Thank you for the in-depth analysis, as a guitarist myself I have found this information extremely useful. For years now I have been using mainly Ernie Ball and Dunlop strings. 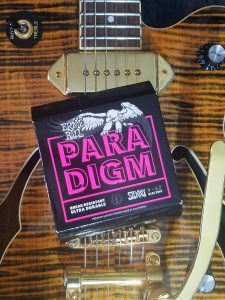 I was always interested in buying Ernie Ball’s Paradigm Strings, even tho I regulate at Super Slinkys I thought I’ll give Paradigm a try as I mainly play live nowadays.